Today marks my sixth month on this company. So what happened during the last six months? What have I learned? What have I accomplished? This is my third job since I last graduated on 2004. My two previous work were all in the academic field and this is my first time in the industry. It was a different experience. Once I was a teacher, now I'm part of the "rank and file" of an industrial company. They were asking me before why did I gave up my teaching profession. I was like the second highest rank in our academic office (next to the academic head) but I gave it all up. All I can say is, it was worth it. I was able to learn first hand what it is like to be a programmer / software engineer / design engineer. I wouldn't based it anymore from books or any publications, but from my experience. I would not based it anymore from theories but with actual experience, heck if I become a teacher today, I can improve the things that I was supposed to be teaching. I can be more effective than before. I can now share things based from experience not from reading it from a book or from the internet. More after the jump. The other question that they were askin me was "How's the job?". Well, from what I have experience over the last six months, it was fun and rewarding. Fun, because I met new friends and rewarding because I learned new things. We learn new things everyday even if you were working for the last nth of years. I found also people who share the same interest that I have like toy collecting and photography, for me, this means a lot to me. So, did I made the right decision? Yes, and it's worth the sacrifice. I may not be part of the academe and I'm currently pursuing something new. the experiences and friendships that I've met along the way helped me to who I am today. I now officially make myself part of the Tsukiden family. Yoroshiku o-negai shimasu! 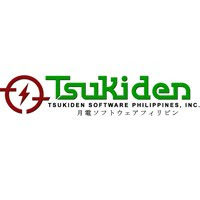 I think you made the right decision too :) BTW, my classmate was a former design engineer in Tsukiden, now he ventured with his own business. what's the name of that classmate of yours?